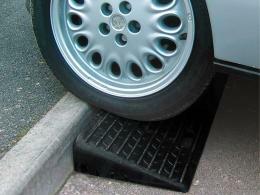 Designed for kerbs of 100mm height. Suitable for any vehicle or caravan, regardless of weight. 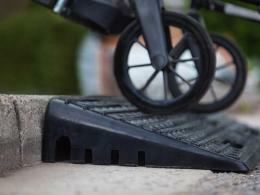 Our Kerb Ramps are made from recycled rubber so are environmentally friendly whilst also providing incredible strength and durability. The unique design means they can support vehicles of any size and they can also be linked in a line. 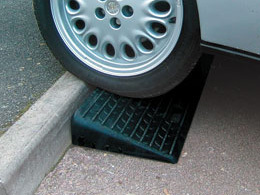 The ramps are 100mm high and are suitable for most kerbs. Please see our video for a demonstration. 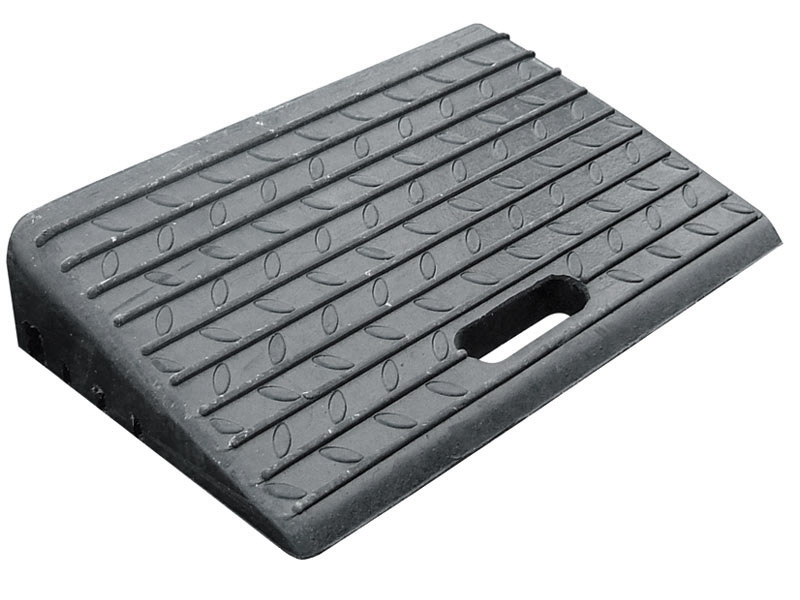 Rubber kerb ramps are a fantastic solution for caravan or motorhome owners when compared with having to organise a drop kerb with the council and a contractor. This can take a lot of time to organise and could cost several thousand pounds - how much better to spend a minute or two to place two kerb ramps every time you want to use the caravan or motorhome? The Workplace Depot has had some interesting feedback from customers about how they use their kerb ramps. We had assumed that they would be used mostly by motorists who need an occasional ramp for access to say the front of their property. An example might be when someone has a caravan parked in their front garden and they need to wheel it out a few times a year. To our surprise we have also had customers who use them as a utility ramp for wheelchairs and mobility scooters, although they may not be suitable for all mobility scooters due to factors such as the height and number of steps. 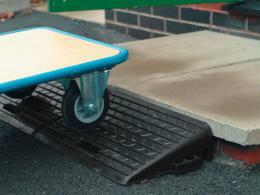 If they are suitable you can potentially save hundreds of pounds over conventional mobility ramps. There are also businesses that have used them. It is the ideal solution if your workplace has a few steps (eg at the entrance or exit) and you need to wheel objects around on a sack truck or trolley. We have also heard from a gardener who uses them to manoeuvre his wheel barrow up and down a small series of steps. We certainly do not want to curb people's exuberance for our kerb ramps!